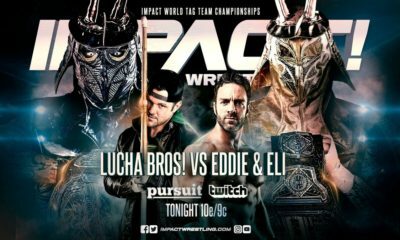 Mathew’s 2018 Top Matches list continues! Let’s see what ends up 20th through 16th. Welcome back to my Top 25 Matches of the year list and as you saw yesterday, I posted my first five matches from my list and I’ll keep doing five a day until December 31st which will be the final five to end the year. If you haven’t seen the first set of lists, there will be a link in here and I’ll do it for the other days just in case people started following didn’t see the previous ones. Anyway, let’s not waste any time and get ready for our next five sets of matches. 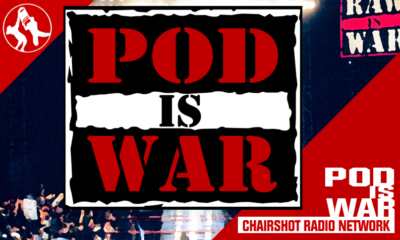 – Takashi Sugiura was the unsung champion of 2018 and I say this as Takashi has had a fantastic reign with each title defense being different and giving us unique stories for him to tell once he won it in March. 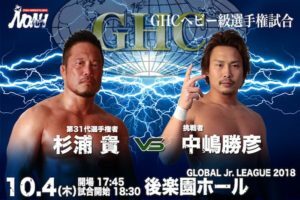 This match was mostly about Nakajima who went through a major transformation ever since he lost the GHC Heavyweight Championship last year and looked to be considered a failed experiment due to not being a big draw like NOAH would hope. During this year, Nakajima would go through a transformation from being a vanilla babyface with great wrestling ability to an aggressive heel with a new appearance and still just as badass in the ring as ever. Nakajima was one who took Takashi to his limit in this match with how aggressive his style has gotten this year and he took out all that frustration onto the champion to show the fans this is the ace they could’ve gotten if they didn’t give up on him last year to let him grow. If Nakajima were to win here, this would’ve been the perfect way to do so along with a big middle finger to the fans but it didn’t work out that way since Takashi was able to make Nakajima tap out in the match and have that final defense under his belt until he lost it to Kaito Kiyomiya in December. This is the Nakajima that fans should definitely fear since he has shown how dangerous he can be and if he keeps it up in 2019, he will take that title back. Definitely check out Takashi’s GHC Heavyweight title defenses as all of them were a treat to see and how a heavyweight champion should look. – I think a lot of people knew this match would be on here somehow as it’s on a lot of peoples lists as not only the best women’s match of 2018 for some people, but also probably the best match when it comes to the WWE’s main roster scene. There’s no doubt that Charlotte Flair had the best year in wrestling when it comes to just the women as she performed at a high level and I know people wanna say Becky Lynch because of her new change in character, but it sadly doesn’t change the fact that the first eight months of 2018 had her in the background while Charlotte was making history and delivering quality matches and while I do applaud Becky for finding her voice and now being on the top draws on SmackDown and WWE as a whole, can’t call her number one for the overall year. 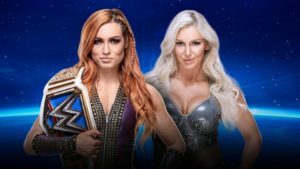 The two had an explosive rivalry with Becky Lynch stepping out of Charlotte’s shadow finally to show that while she’s better than her, she can carry the division by herself without her. Becky eventually defeated her for the SmackDown Women’s Championship at Hell in a Cell and held out on her own with the title where the two would have the final chapter of their feud at WWE’s first all women’s pay per view, Evolution where they would wrestle in the first ever women’s Last Man Standing Match. They made full use of the stipulation of the match with the use of weapons, wrestling, and having the crowd loving it that it boggles my mind that this match didn’t close out the show since it would’ve been the better way to close it up instead of Ronda Rousey vs. Nikki Bella. Becky would retain the title against Charlotte to prove that she’s all on her own from here and there was definitely respect shown between the two. Fantastic match and I hope these two women keep this momentum going for 2019 to help that their division to new heights. 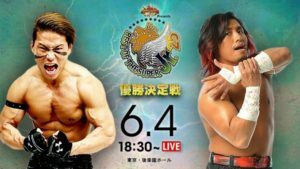 – This was the second Dragon Gate show I covered and I said this match would be on my list and I meant it since it was a great match that still holds up nine months later. Masaaki Mochizuki had an underrated title reign with the Open the Dream Gate Championship with some solid performances in his matches, but this is the one that stood out the most in his series of title defenses in this reign. Mochizuki would defend the title against a future star of the company, Ben-K and this was the first time seeing him in singles competition to see how he would do in the main event level if we were to one day win the championship, which blows my expectations out of the water and made me a fan of him right away. Ben-K looked strong in this match and even in the end when he lost the match by TKO instead of actually tapping out to make him look like a star. Will Ben-K win the title one day? 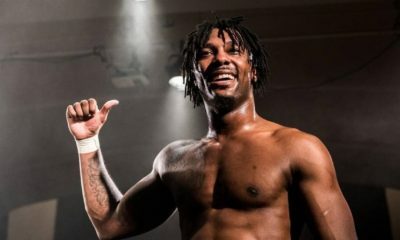 I think he will since both times he went for the title this year showed he will be a huge success and it all depends on when they want to pull the trigger, especially since PAC came back and is not the current Open the Dream Gate Champion, so it all depends on how they plan it out. If you haven’t check out Ben-K before, this is the first match I would show people so they get a familiar idea of what he’s all about. My favorite Dragon Gate match this year and one that should be talked about when it comes to this company. – This one is my favorite junior heavyweight match this year and definitely deserves a spot on the list for sure during this first time ever match-up. 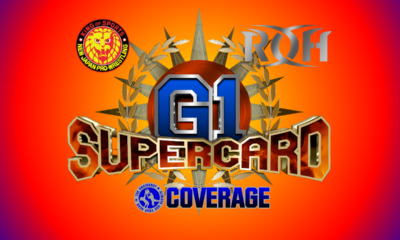 This was the finals of the 25th annual Best of the Super Junior tournament where the winner of this match will earn the right to challenge Will Ospreay for the IWGP Junior Heavyweight Championship at Dominion a few days after this show. Both Taiji Ishimori and Hiromu Takashi almost downright killed each other in this match with them pulling out all of the stops right in the beginning in the match with Taiji making Hiromu roll all the way down the bleachers and landing on the floor. This match felt a little too dangerous for peoples tastes since it looked like they could’ve been seriously hurt if they weren’t careful with any of the moves that they pulled off in this match, but luckily that both of these men made it out of the match in one piece because nobody likes to see a wrestler injured or having their careers cut short by one mistake. Hiromu would eventually defeat Taiji in an incredible match to finally also defeat Will Ospreay to bring Mr. Belt back home after being separated from him for an entire year. Unfortunately, Hiromu wouldn’t hold the title long as he injured his neck when he fought Dragon Lee and landed on his head wrong on a Phoenix Suplex. 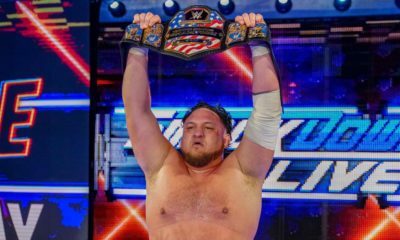 I don’t know if he will be able to return or not and it’s a real shame to hear since he definitely had a lot more left to offer for the business and to see it cut short like this would be heartbreaking. I do hope for a successful recovery at the end of it all and thank him for giving us excitement for the junior heavyweight division. – “But this feud was underwhelming and awful!” Technically it was but at the same time, it wasn’t the worst feud during AJ’s run. Both AJ Styles and Shinsuke Nakamura fought at Wrestle Kingdom 10 in a much-anticipated dream match where Nakamura was the victor before the two would depart to the WWE. 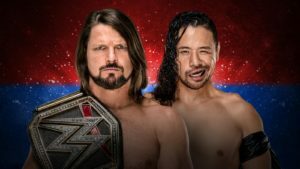 Fans were excited to see them one day fight on the big stage and it happened when Nakamura won the Royal Rumble to earn that right to finally fight AJ Styles for the WWE Championship. A lot of fans were disappointed since it wasn’t like their Wrestle Kingdom match that many considered a classic, but I’ll get to that later since this was the first step to Nakamura turning heel once he lost to AJ Styles. 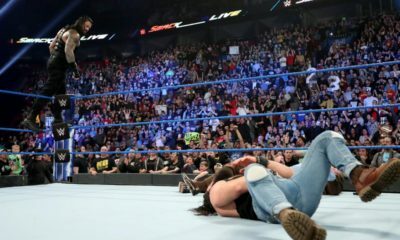 The two would meet in the ring at least three more times where the next two ended in a no contest and then Nakamura would get a win to tie it up which lead to the Last Man Standing Match. This match was their best WWE match together as it had the story from the rivalry, incorporated their skills mostly to try and take each other down rather than heavily rely on the weapons. I do wish Nakamura won this match since this would’ve been the right time for him to win the championship, but they wanted to advertise the WWE 2K19 game with Styles on the cover, so it would’ve been a bad move to take the title off him while giving him that honor. I was gonna use AJ Styles vs. Daniel Bryan from TLC instead but I decided not to since while that one was the much better wrestling match, this was the overall package if you were to compare the two, but still great and should check it out if you haven’t. So why did this feud technically bomb to a majority of the fans? I think it’s because of the fact that a lot of people had their expectations set way too high when this rivalry was being developed. I liked it a lot more since I didn’t compare it to their match at New Japan because they’re two different companies who have different aspects on how they do their business and style of wrestling, if people were going to expect something similar or better then that is their doing for assuming. Also, you gotta understand that Nakamura is way past his prime and even has been for a couple of years before he left New Japan except for his matches with Styles, Hiroshi Tanahashi, and Kota Ibushi since that was the only time during his final run where he had great matches while the rest of it was pretty much just him there. 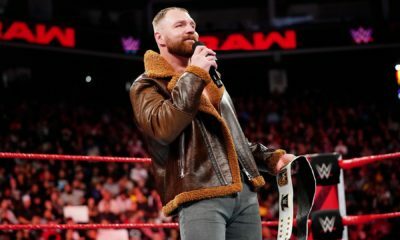 His charisma was mostly the only thing keeping him over at this time and he can have a great match from time to time around this point of his career, but how he used to be isn’t him anymore and this is his own doing, which I don’t blame him since he wanted to tone it down. But, this was still a great match and definitely a top one for a Last Man Standing Match as a whole if I were to do a top 15 for this type of match. That’s it for this set of matches and thank you very much for tuning in to read them. I know some are confused about the placements of the matches and everything, but again it’s all opinion based and my reasoning for each one is posted up there. 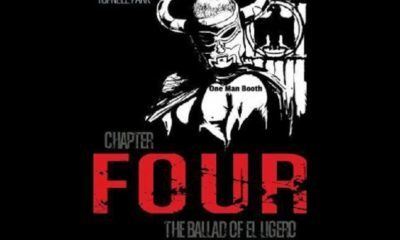 I hope you all enjoyed the read and tune in tomorrow as we look at our next five matches. See you all then!